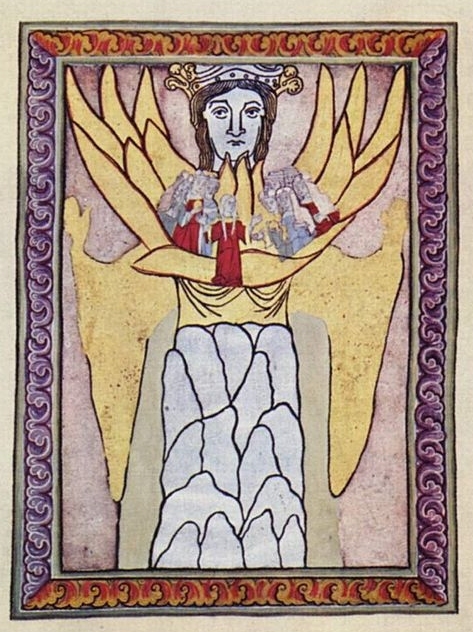 Artwork from a medieval codex depicting Hildegard of Bingen’s vision of Ecclesia and Sophia. News of the atrocities committed by the Islamic State has me thinking again about all the violence done in the past and present in the name of Christianity, including wars and witch burnings and domestic violence. Just as the extreme violence of the Islamic State distorts the peaceful teachings at the heart of Islam, the extreme violence done in the name of Christianity distorts the peaceful teachings of Jesus at the heart of Christianity. Do our Christian symbols contribute to violence or to the peace, abundant life, and inclusive love that Jesus taught? Swaim goes on to say that every Christian theology of which he is aware maintains this doctrine. He must not be aware of feminist theology, other liberation theologies, and creation theology that have challenged this doctrine of substitutionary atonement. Nor does he seem aware of the early church fathers and mothers who developed other theologies of the crucifixion. Although I disagree with Swaim’s generalizations about Christian theology, I agree with his questioning the cross as the central symbol of Christianity. For many years I have also believed that a symbol other than the cross should be at the center of Christianity. The emphasis on the cross leads to the glorification of violence and death rather than the love and abundant life that Jesus taught. From personal experience I also agree with Swaim that crucifixion images can “traumatize the believer.” As a child, I had nightmares from singing hymns such as “Are You Washed in the Blood?” and “There Is a Fountain Filled with Blood.” And one of my sons, when he was a child, was traumatized by a picture of the crucifixion in his Bible storybook. Would Jesus want the cross, the instrument of his death, used as the central symbol of the Gospel? If the Romans had used a sword to execute Jesus, would we make the sword our central Christian symbol? 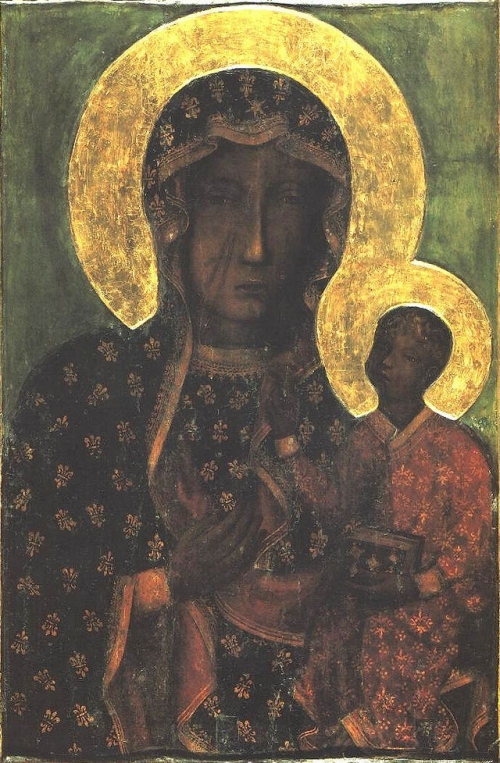 The Black Madonna of Częstochowa, Poland. The Apostle Paul affirms the centrality of the resurrection, not the cross, to the Christian faith: “If Christ has not been raised, then our proclamation has been in vain and your faith has been in vain” (1 Corinthians 15:14). I believe that new life and hope come from Jesus’ resurrection and loving ministry, not from his violent death. Where now are the symbols of the resurrection? 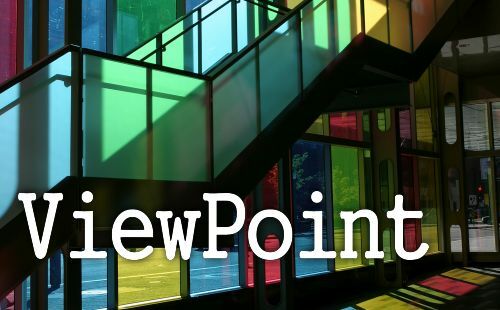 Why isn’t the empty tomb, instead of the cross, at the center of Christian symbolism? And if the empty tomb is harder to represent visually and to put on jewelry and on walls of churches and homes, then why isn’t another symbol of resurrection, like the butterfly, central to Christianity? Or what about the dove as a symbol of Jesus’ peaceful mission? As a universal symbol to replace the cross in Christianity, Swaim proposes a picture of a woman holding a child. In addition to this symbol and to butterflies and doves, I recommend other life-giving symbols such as Sophia (Greek word for “Wisdom,” linked to Christ in the Christian Scriptures), Black Woman, and Our Lady of Guadalupe. Sophia is a resurrected biblical female divine image that opens new possibilities for peace, justice, and new life. Writers of the Christian Scriptures link Christ to Wisdom, a female symbol of Deity in the Hebrew Scriptures. Paul refers to Christ as “the power of God and the Wisdom (Sophia) of God” (1 Corinthians 1:24), and states that Christ “became for us Sophia from God” (1 Corinthians 1:30). In She Who Is: The Mystery of God in Feminist Theological Discourse, Elizabeth A. Johnson states that the symbol of Sophia evokes “gracious goodness, life-giving creativity, and passion for justice,” and that Jesus’ death occurred not as redemption for sin but as a consequence of his faithfulness to “Sophia-God’s shalom.”[iii] Thus, Christ-Sophia is a peacemaking, life-giving, inclusive linguistic and visual Christian symbol that could replace the symbol of the cross. One visual symbol of Christ-Sophia could be artist Janet McKenzie’s “Jesus of the People,” a picture that is inclusive of genders and races. The Black Madonna is also a powerful and popular symbol of liberation, peace, and justice. Moving beyond meek and mild Virgin Mary symbols, the Black Madonna has often been conflated with traditional African deities, and has been depicted not only as black but also as a woman of diverse colors and cultures. 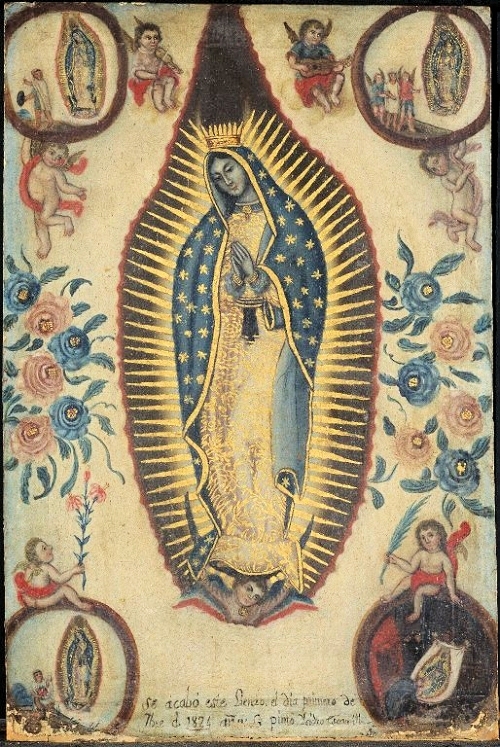 Another liberating, life-giving Christian symbol is Our Lady of Guadalupe. Latina women, like other women of color, suffer from the triple discrimination of sexism, racism, and classism. Our Lady of Guadalupe has been empowering for these women, and has also been an important symbol for other people. She is the most popular religious and cultural image in Mexico and is growing in popularity in the United States. with Her power, we will flower, feeling our sacred worth. O now return to Her for peace; hope and justice will increase. Re-creating, liberating, She will all our dreams release. always guiding and abiding, within our hearts She calls. She is healing and revealing more than we’ve ever seen.